We are proud to announce that we are now a Rayva dealer. Rayva is making immersive home theater experiences accessible in a completely new way. They have brought together the most recognizable AV brands and the brightest minds in home theater design and technology integration to create home theater offerings that delight, inspire, and transform." Like Millennium Systems Design, Leon has been in business for almost 20 years. 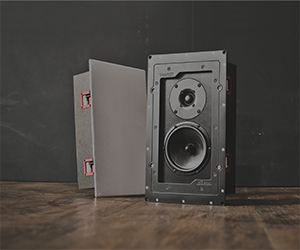 Leon has been meticulously handcrafting a full palette of custom speakers, sound sculptures, and audiovisual treatments, all designed and manufactured in the US.